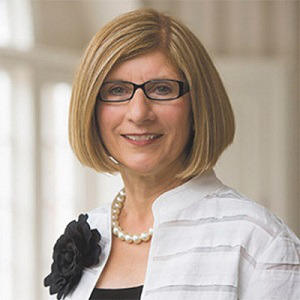 Dr. Carol A. Leary, president of Bay Path University has been named the recipient of the 2019 Donna Shavlik Award, the American Council on Education (ACE) recently announced. Leary, who also published the book Achieving the Dream: A How-to Guide for Adult Women Seeking a College Degree, will receive the award during a presentation at ACE’s 101st Annual Meeting in Philadelphia, during the Women’s Leadership Dinner on Saturday, March 9. “2018 was a critical year for women in higher education. Carol Leary not only met its challenges head-on with her leadership of Bay Path, but she also widened opportunity for her students and prospective learners,” said ACE president Dr. Ted Mitchell. Leary became president of Bay Path, a private institution in 1994. As president, Leary helped the institution become a university, established more than 30 graduate and post-graduate degrees and created The American Women’s College – the first all-women, completely online baccalaureate program in the country, according to an ACE release. ACE established the Donna Shavlik Award to recognize the prominent and outstanding service of Donna Shavlik, former director of ACE’s Office of Women in Higher Education.